Hello friends! 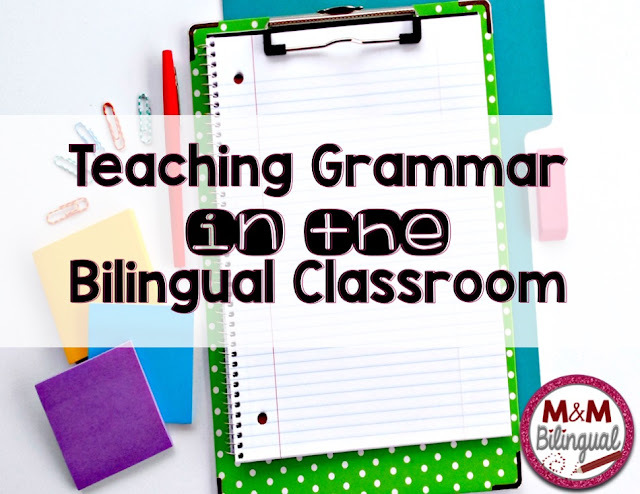 I am back today with great ideas and resources to help implement successful and engaging grammar lessons in your bilingual classroom. Make sure to read all the way to the end for a FREEBIE! 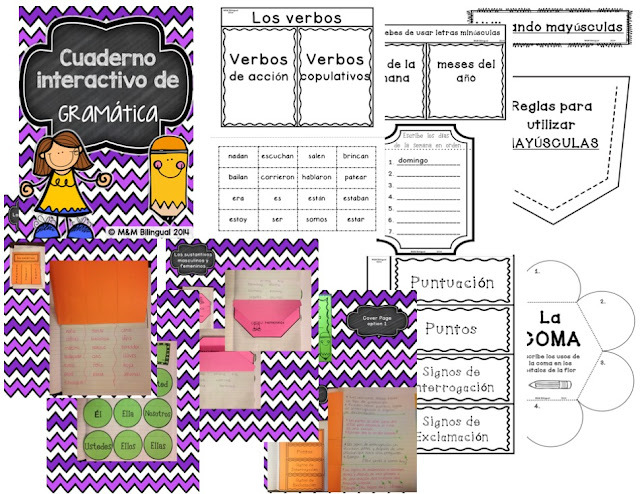 After the introductory lesson/video, I bring out interactive notebook pages to conceptualize and anchor the lessons. Download a FREE SAMPLE of my interactive journal to try out with your students today!!! Breaking up into grammar centers is one of my students favorite activities. I provide task cards, recording sheets, cut/paste activities and sorts to differentiate their learning and further evaluate how much practice they need with a lesson. As a quick pre-assessment or after a lesson use this FREEBIE as an evaluation. Students will cut and sort out nouns, verbs, and adjectives and glue where appropriate. I hope this post has been helpful and provided you with many ideas to teach grammar in your classroom. What has worked for you? Feel free to leave me a comment below. Until next time friends! 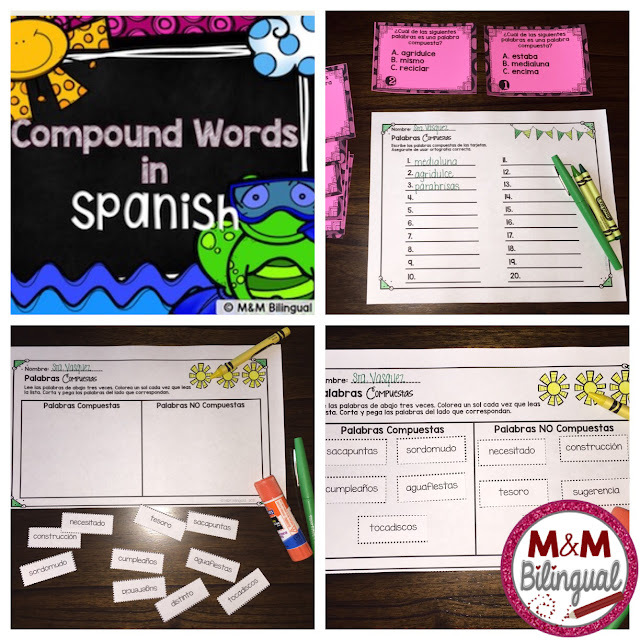 Thanks for sharing these resources! It's so hard to find grammar resources in Spanish. 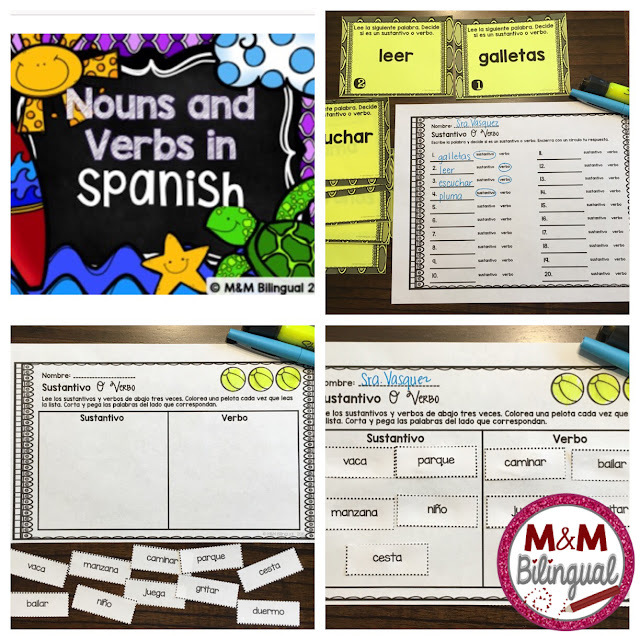 I would love the nouns and verbs center. I love the video idea. Thank you for sharing! I would love the capitalization center. Olga, thank you for comment :) I have emailed you the center you requested... enjoy! And I totally didn't answer your question!! 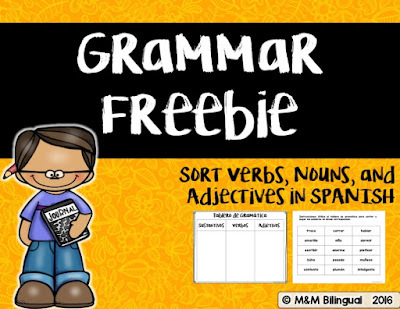 Something that has helped my kiddos is reviewing the grammar lessons we have covered constantly. It's hard for them to remember a "rule" but a spiral review has helped. Personal anchor charts are also lifesavers! Omg this stuff looks great!